We are so glad you asked! Art Stones, by Finnabair, are light-weight, faux 'stones' that can be used to add textural elements to your project. Use as-is, in their natural color, or color our Art Stones with Art Alchemy Paints, Color Bloom Sprays, MIca Powders, etc. Mix them with gel or paste to create a texturized medium, or sprinkle over gel to stick directly on a project. Art Stones are available in three different sizes: mini, original, and mega. Look for them at your local craft store, or at Michaels Stores, where they are available in the scrapbook/mixed-media Finnabair section! Now why do you need these sweet things? Think of the gorgeous texture you could create...everything from fine "sand" to large ocean "bubbles"! The endless uses for Art Stones are only limited by your creativity! We asked one of our expert designers, Ola, to create a few projects with Art Stones today so you could see how these look. "What can I tell about Art Stones? Without them my mixed-media projects would not be the same! I use a lot of them in almost all my works. With the smaller sized Art Stones you can create amazing textures. Just mix them with gel medium or gesso." To inspire you I created two different styles of projects. 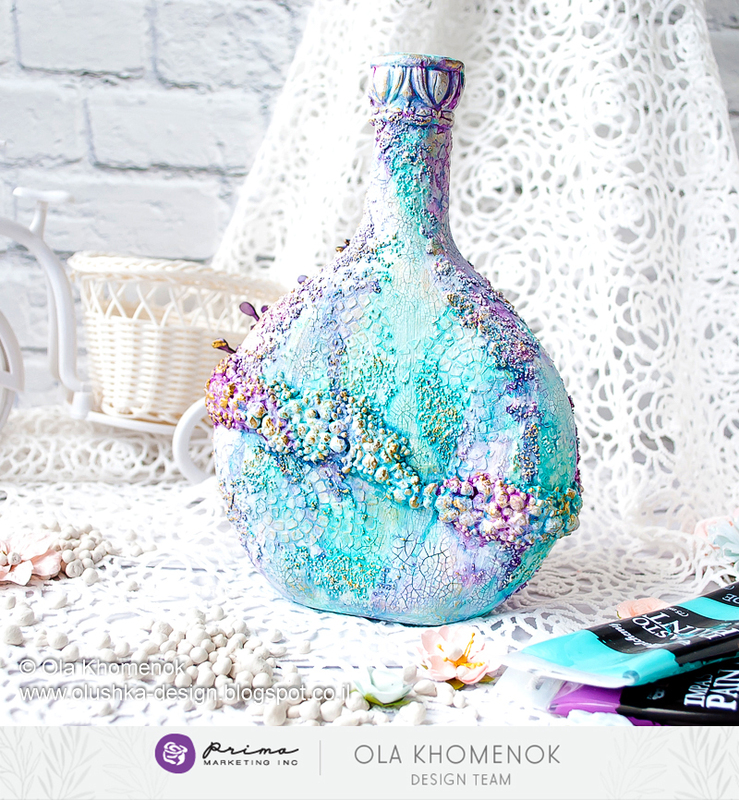 The first one is an altered glass bottle, in pastel tones. 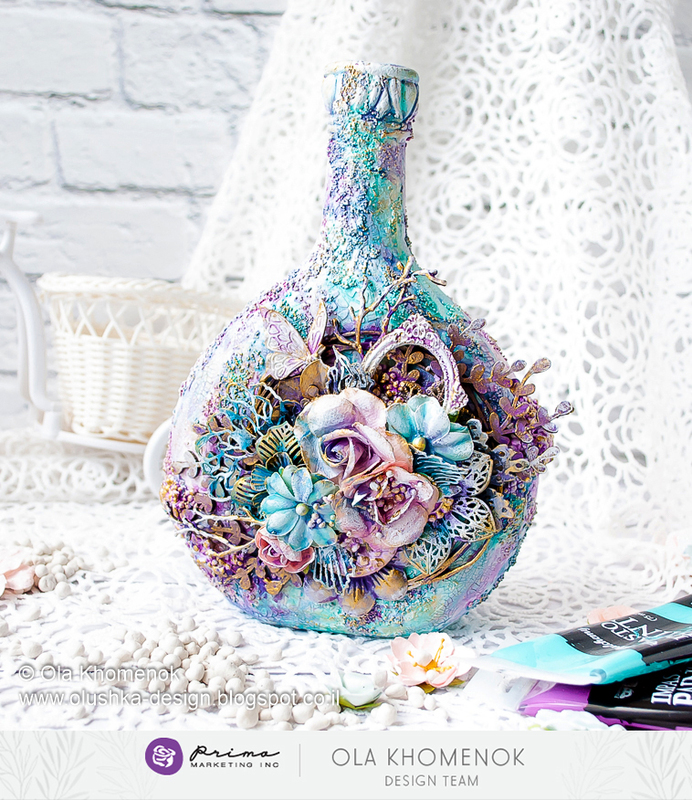 With small Art Stones I created a texture on the bottle, while i added the regular Art Stones between the flowers. And with the bigger stones I created a beautiful textured line on the back side of the bottle. 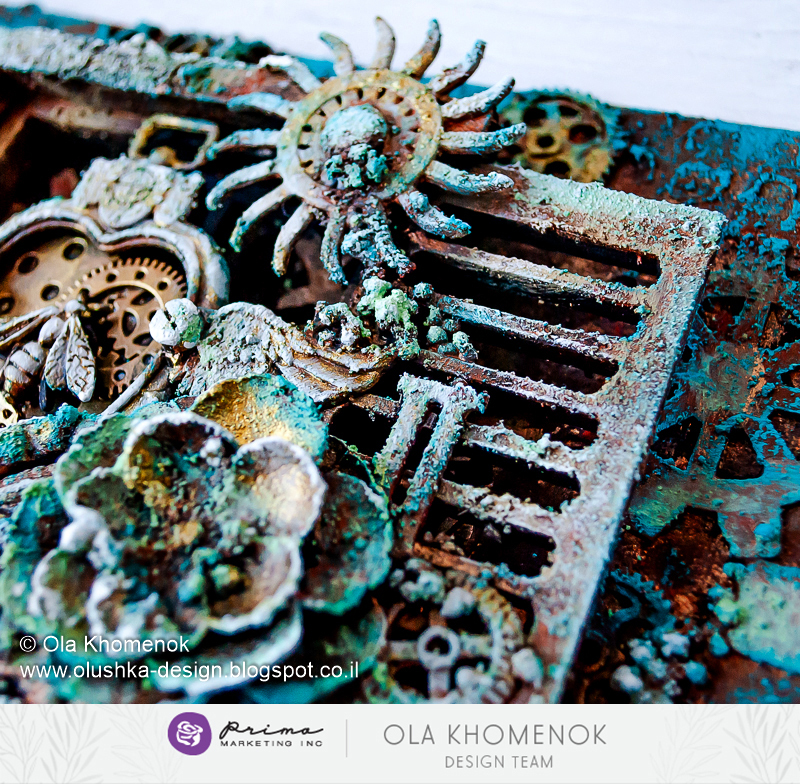 "My second project is a steampunk style canvas. On this project I also used all three types of Art Stones in the same way. So, as you see, it doesn’t matter what your favorite style is, these stones should be on your “must have” list!" Now that you know a little bit more about Art Stones which size are you most excited about? Not sure yet? Check out the tutorials and videos on our www.finnabairatmichaels.com site for even more isnpiration! 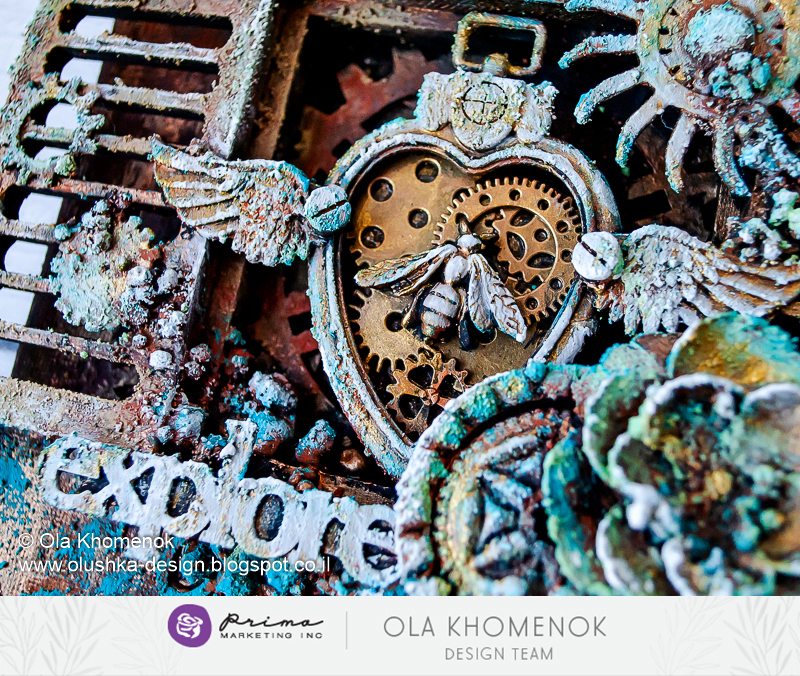 We would love for you to share your mixed-media projects with us on any of our channels. Just tag us so we can find them!